Travel Treats was formed in the year 2000 by Kath Airey and Janet Spooner. Early in 2005 Kath moved to France and Janet continues to run the company with generous help from her friends. Our policy, then and now is to give our guests the best possible day out, offer a quality service and, most importantly, to ensure everyone has fun. 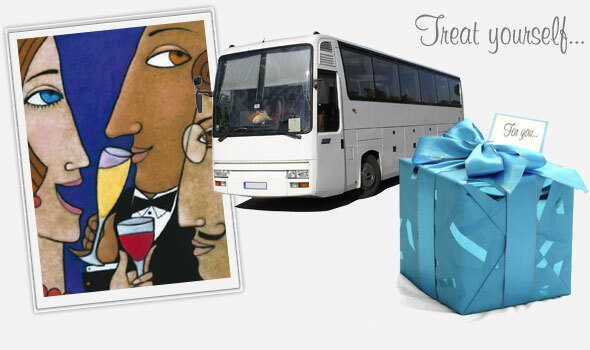 We provide days out with a difference, using luxury air-conditioned transport and our excursions are fully escorted. On all day trips we include surprise treats and we provide the glasses and napkins too. Many of our trips include morning refreshments, lunch, professional tour guides and programmes. For our longer holidays we still accompany you, but we use only companies who are well known to us, offer good value and look after their guests. In September 2012 Janet was awarded the title of ‘Group Travel Organiser of the Year’ by Group Leisure Magazine at a prestigious ceremony in Birmingham. We are delighted that most of our new guests are recommended to us by their friends and colleagues who have been on earlier trips. How fortunate we are to have so many really lovely people travelling with us. We hope you will take a look at our excursions page and will be tempted to join us for a wonderful, memorable day out.